Eliott C. McLaughlin | 4/21/2015, 9:40 a.m.
(CNN)  The autopsy hasn't yielded many answers in Freddie Gray's death -- in fact, it's prompted more questions -- but Baltimore's mayor pledged Tuesday to find out how the 25-year-old died from a spinal cord injury after being arrested a week prior. "I'm going to make sure that as we get information that we can confirm, we're going to put that information out in the public," Mayor Stephanie Rawlings-Blake told CNN. "I want people to understand that I have no interest in hiding information, holding back information." She's "frustrated," she said, and among the questions she wants answered are: Why did police stop Gray in the first place? And why did arresting officers make the "mistake" of not immediately requesting medical attention when Gray asked for it? "He was dragged a bit, but then you see him using his legs to get into the van, so he was able-bodied when he was in the van, and we know that when he was finally taken out of the van, he was unresponsive," she said. Challenged on the "able-bodied" remark -- video shows Gray's legs hanging listlessly as officers carry him by his shoulders -- Rawlings-Blake said the medical examiner would make the final determination, but "we know he was fine getting into the van." "We will get to the bottom of it, and we will go where the facts lead us," she said. "We will hold people accountable if we find there was wrongdoing." She further said she "absolutely believes we need to have an outside investigation," especially when you consider Baltimore's dark history of police misconduct. In October, the Justice Department announced a collaborative reform initiative with the Baltimore Police Department to "include an assessment of policies, training, and operations as they relate to use of force and interactions with citizens." "When law enforcement misconduct is uncovered, the U.S. Department of Justice has a variety of tools available to respond. Responses to misconduct in law enforcement organizations fall along a continuum of intervention, with the specific response calibrated to address the particular circumstances of any given situation," Ronald Davis, director of the Justice Department's Office of Community Oriented Policing Services, said in a statement at the time. 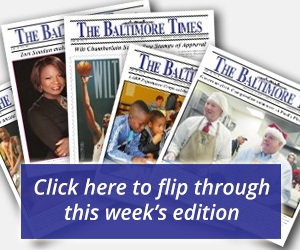 Rawlings-Blake requested the Justice Department take a look at the police department, The Baltimore Sun reported, saying that her request came on the heels of the newspaper's report that the city had paid almost $6 million in judgments and settlements in 102 police misconduct civil suits since 2011. Overwhelmingly, The Sun reported, the people involved in the incidents that sparked the lawsuits were cleared of criminal charges. Under Rawlings-Blake's watch, she told CNN, the city has seen a decline in lawsuits, as well as reports of excessive force and discourtesy. 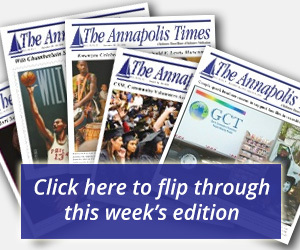 "I went to Annapolis for tougher laws to hold cops accountable. I'm fighting to bring back the trust between the police and the community," she said.